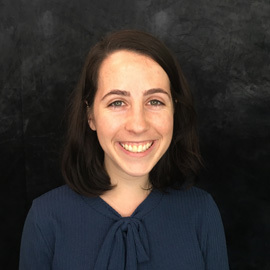 Katie Smet joined Breathe in 2018 to oversee and implement food waste recycling pilot programs in schools and provide capacity building for schools to reduce their food waste in Sacramento County. A Minnesota native with degrees in Urban Studies and Political Science from the University of Minnesota, she is committed to strengthening the relationship between the built environment and human health through local sustainability initiatives. Katie served two years in AmeriCorps with the Sacramento Promise Zone and as a CivicSpark Climate Fellow at SMAQMD. When she’s not on the job in the community, she loves cooking meals with friends and playing tennis with her McKinley Park club team.